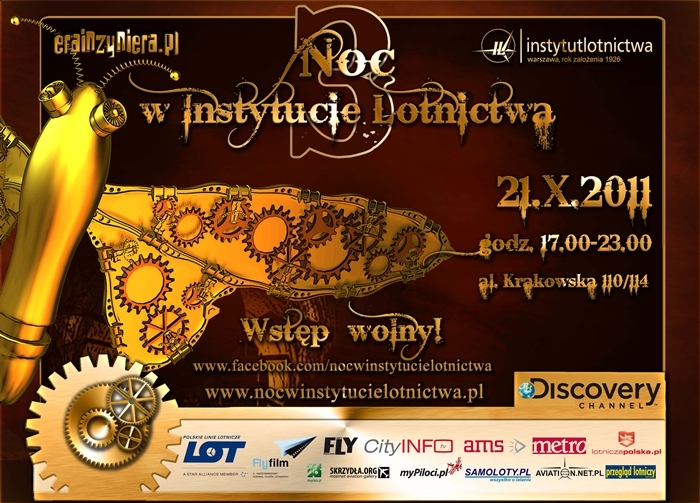 Please be invited to the third Night at the Warsaw Institute of Aviation! If you want to see the Black Hawk, touch a jet engine, learn how the black box works, meet pilots and flight attendants, watch aviation-related films – come to the Warsaw Institute of Aviation on Friday, 21st October between 17.00 and 23.00. More info available here (in Polish).